My kids rely on Dominos for their extras. They use their own money and order wings, pizza, garlic bread sticks and the list goes on. I know hubbys favorite are the subs and garlic bread sticks will suit me any time. That is why I so want to win the Dominos Pizza gc giveaway being hosted by Thanks Mail Carrier. This is the bedroom of one of my old school chums do you see all the great bags hanging from the wall? pressure release, set the timer for 3-1/2 minutes. IMPORTANT!!!! Combine all ingredients except 7-UP. Just before serving, add 7-UP and ice cubes. cheese is melted. Serve in the buns. COOK sausage in large nonstick skillet until browned. Add celery, onion, peppers, garlic and thyme and cook until vegetables are tender. ADD brown rice, wild rice and broth. Heat to a boil. Cover and cook over low heat 45 min. or until rice is done. Stir in parsley. Serves 6.
ketchup, garlic and mushrooms in crock pot and mix. 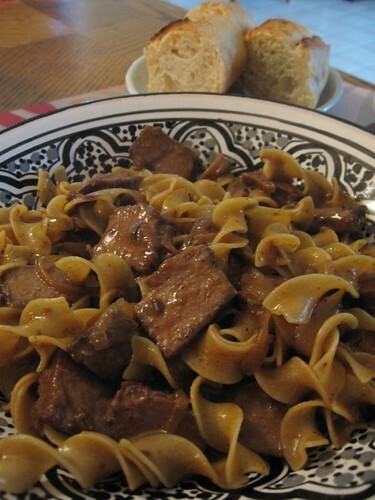 Add cooked beef and onions. minutes (do not let mixture boil). Serve over hot cooked noodles. a gas grill (you can hold your hand at grill level only 2 to 3 seconds); close lid on gas grill. Cook, turning once, until browned on both sides, 5 to 6 minutes total. This stew was made by the cookie at times when the chuck wagon wasn't moving and had the time to make it. It will also work well in a crock pot or even in the oven. Lay three or four slices of bacon across the bottom of the pot or Dutch oven. Cut beef and everything else into bite-size chunks and put in a layer on top of the bacon. Scrape and cut carrots and they go on top of the beef, next comes celery if you have it and finally potatoes which should just about fill the pot. Salt and pepper and you can add some bay leaves, jalapeños, garlic cloves, a squirt of W sauce or whatever else for seasoning. Pour a big can of tomato juice (or V-8) over it and put the lid on. Lower it into the fire hole on top of the coals and toss a saddle blanket over it. If you are using a crock pot, set it on low or a regular pot into a 225° oven. Spend the day cutting and branding calves, fixing fence or plowing the north forty or whatever you need to do till about supper time and your stew will be ready. vanilla. Fold in whites. Fold in flour mixture in 2 additions. Scrape into pans. Bake in 350 oven 25 minutes or until tops spring back when lightly touched. Turn cakes out on to racks to cool completely. Peel off paper. Prepare filling: Mix sugar, flour and salt in saucepan. Stir in 3/4 cup milk. Heat over medium heat, whisking constantly, until mixture boils; cook 2 minutes. Remove from heat. Whisk together remaining milk and egg. Whisk mixture into saucepan. Return to heat. Cook, stirring, 1 minute. Stir in vanilla. Cover with plastic wrap, pressing on surface to prevent film. Cool. layer. Invert second layer on top. stirring occasionally. Stir in corn syrup and water until blended. 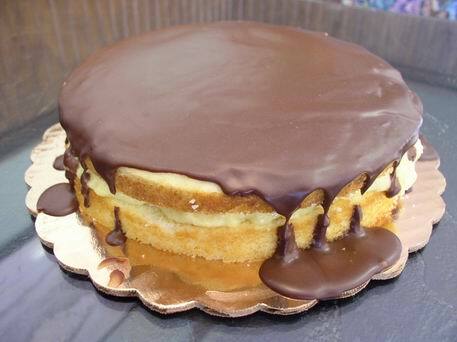 Stir in powdered sugar until smooth Spoon on top of cake; spread level, allowing some of glaze to flow over edge. Chill. down on a greased pan. We all know that shopping for groceries occupies both hands. How else would you push the cart, grab more than one item off the shelf or reach that item kept on the top shelf? When you have coupons or little ones the idea of shopping with two hands swiftly goes away. But with the OnTray the dream may be back. The OnTray helps you make the best use out of both hands while shopping. 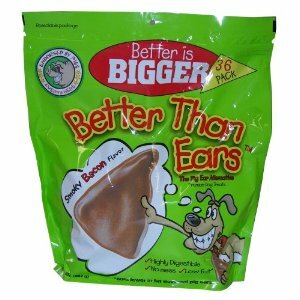 Buy: you can purchase the OnTray online or from many leading grocery stores. To order online or find out where you can find it go to the OnTray website http://www.ontray2go.com/ When ordering online use code ANNIE for free shipping. WIn: One of Annies Home readers will get a Free OnTray. To enter this giveaway let me know something that I did not share with you. Giveaway Starts now and ends July 31, 2010. Good Luck Email must be in comment or on blog profile or entries do not count. The fifth day of the anniversary bash at Thanks Mail Carrier is a big delight. The gift today is sponsored by the CSN Stores. It is for a $70 gc to the great CSN stores. This giveaway ends August 12, 2010. Another great opportunity to win a CSN gc is located at CutePeas where CSN Stores is sponsoring a $60 gc. This giveaway ends August 19, 2010. Princess is going to be a big sister and just like we have to prepare for a new baby so does Princess. One of the ways we will be helping get Princess ready to welcome the new baby home is by reading to her. The book I'm A Big Sister by Joanna Cole is one of the great books we will be reading to her This book helps Princess to know what a big sister is, what a big sister is supposed to do and what she should expect when the baby is at home. What a grand time bringing the baby home will be but we must also must be aware that it is also a big change for a two year old who is used to having mommy and daddy all to their selve. In medium mixing bowl, combine strawberries, tomatoes, onion, cilantro, salt, and jalapeno peppers, if desired. Cover and refrigerate at least two hours to allow flavors to blend. 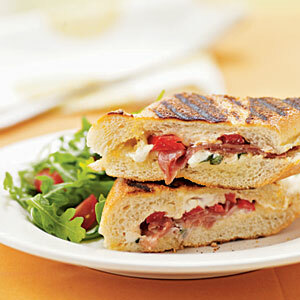 To prepare bruschetta, spread French bread rounds with cheese. Top each with approximately 2 tsp Strawberry Salsa. Shortcut: Add chopped Driscoll's strawberries to your favorite prepared salsa. Use salsa as a condiment with grilled or roasted chicken, pork or fish. Makes about 2 cup salsa. Aloha Friday!!!! It is that special day that has a special meme just to help us bloggers relax and get to know each other better. 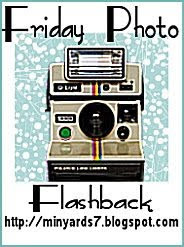 Kailani over at the blog An Island Life hosts this meme. My question today has to do with shopping and running errands. 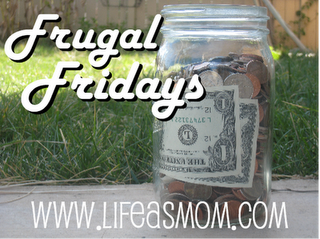 Do you have a special day of the week that you go to the grocery store and run errands? 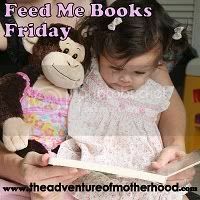 I would answer this by saying for my daughter it is always on Friday but for myself it is whenever the need arises. 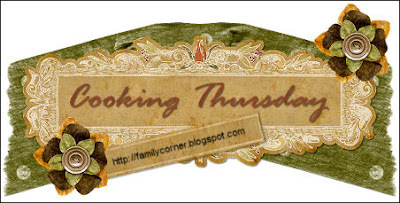 Shop consignment stores or thrift stores. These shops may have exactly what you are looking for but only 1/2 the price. The clothing at these shops are often next to new or gently worn. By shopping these sort of stores first you will have a good idea of what you can get there and what you must spend a bit more money on. You may even want to go a step further when cleaning out what fits your child and what doesn't and sell a few items to make you some back to school money. Keep an eye on your newspaper and the sale circulars. We love the sales where you can get one item at regular price and save a great amount on the second. One year I did this back to school shopping and when I got to the cash register we were doing great and she found even more sales than we did and took more discounts off. YEAH!!! Shop on a budget. If you have a budget in mind then you will be more apt to not spend more. Good Luck with back to school shopping I hope these tips help you along your way. Hollow out top and bottom halves of bread, leaving a 1/2-inch-thick shell; reserve torn bread for another use. Spread 2 tablespoons mayonnaise over cut side of each bread half. Sprinkle basil and 1/2 cup cheese on bottom half of loaf. Top evenly with prosciutto, tomato slices, and remaining 1/2 cup cheese. Cover with top half of loaf. Cut filled loaf crosswise into 4 equal pieces. Heat a grill pan over medium heat. Coat pan with cooking spray. Add sandwiches to pan. Place a cast-iron or other heavy skillet on top of sandwiches; press gently to flatten sandwiches. Cook 3 minutes on each side or until bread is toasted (leave cast-iron skillet on sandwiches while they cook). The excitement of the new baby has me making all sorts of new lists and getting ready to shop. There are so many great items out there for new babies. Just take a look at this adorable nap mat cover created by Chic-Covers. It would be perfect for my daughter who loves to visit. It folds the nap mat up so that it can be easily taken where ever she goes. 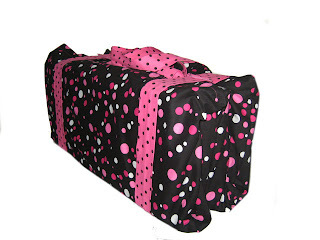 Right now Chic Covers is hosting giveaway where she is giving away a nap mat cover with the nap mat inside. So glad you were able to visit today. I always love it when my friends drop by. 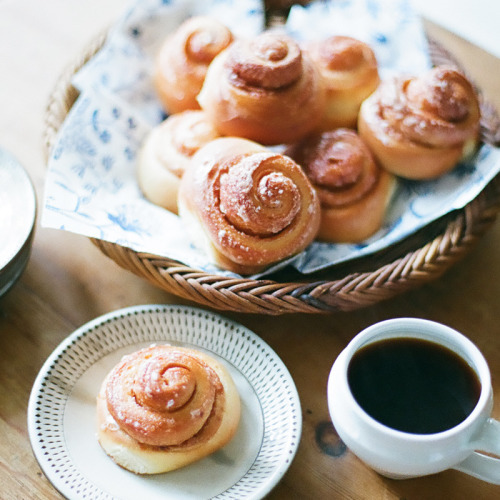 Perhaps you can grab a cup of coffee and a sweet roll and visit for a while. In a large bowl, sprinkle room temperature yeast over the warm water with 1 tsp. sugar; stir to dissolve. Set aside to allow the yeast to rehydrate and become foamy (about 5 minutes). Add sugar, butter, eggs, milk powder, 4 cups flour and salt. Stir until dough leaves the sides of the bowl, adding flour if needed. Dough should be soft and somewhat stickier than a dough for regular bread. Turn out onto a lightly floured work surface and knead until smooth and elastic (about 8 to 10 minutes). Transfer dough to a bowl brushed with oil. Cover and let rise in a warm, draft-free place until doubled in bulk. Punch down. Shape into a long, narrow rectangle. Cover and let rest for 15 minutes. At this point, dough may be used in any sweet dough recipe or to make any kind of sweet breads or rolls. Form into loaves, rolls, or braids and allow to rise until doubled in volume. Bake at 350°F until golden and light; smaller loaves and rolls will take less time to bake than large loaves which will bake in about 50 minutes. This picture was taken in the mid 1990's. It is a picture of my two cousins I believe for one of the Holidays. Just look at those curls and polished looks. Now they both have short bob hair that is easy to manage. It is just so fun to look back and see how we used to dress and when life catches up to us it all changes. Ever since I was a little girl I loved to have my fingernails and toenails painted up. My daughters and granddaughters have follow suit. My daughter loves to paint her daughters fingernails and toenails with Piggy Paint. 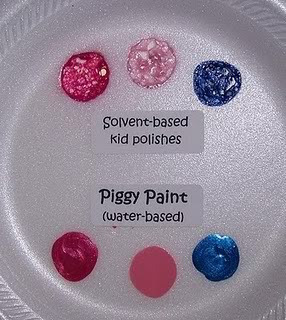 Piggy Paint is the safe, natural non toxic polish that comes n a grand variety of shades. A mother of two girls Melanie Hurley created piggy paint for girls like hers who enjoy dressing up to do so safely. Take a look at this picture and tell me which one you would rather your child or grandchild use to paint their tiny nails. You can almost see the toxins escaping the solvent based polishes whereas piggy paint is water based and holds their color. Piggy Paint is not only safe for their children they also take pride in contributing to special needs. Like the Fight Breast Cancer Pack which contains two polishes which are angel kisses and forever fancy. 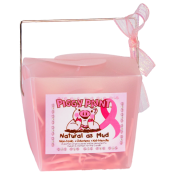 The Piggy Paint family has been touched by cancer as well and created this sweet package and donate a portion to the Susan B. Komen foundation. 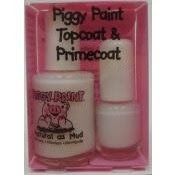 Piggy Paint also have a few new to your products like this Piggy Paint Topcoat & Primecoat which allows you to put the finishing touches on the nails. We all know that little girls are not always well behaved little princesses there are times that they can horse around and play as hard as the boys. This new product will allow you to protect painted nails against scratches and chips better than without it. Have some fun with the radio=active fingernail polish. My girls had a blast seeing it glow in the dark. Does your little Princess love Piggy Paint? Does she like to show her friends her favorites? 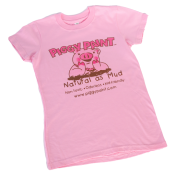 Get this cute Piggy Paint tee for her and let her show her pride in what she chooses to wear. Mom they have one for you to. 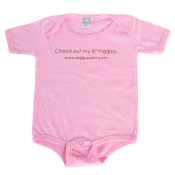 From onesies for the tiny ones to tees for adults girls of all stages and ages can wear their pride on Piggy Paint. Piggy Paint has a special Princess Pack which would be the hit of any sleepover. Let the girls have fun painting each others nails and you can rest assure that it cleans up easily and is safe to use. Giveaway starts now and ends August 6, 2010. Good Luck Please make sure email is in comment or on blog profile or your entriy will not count. Arrange bacon on a paper towel-lined microwave-safe plate; cover with a paper towel. Microwave bacon at HIGH 2 minutes or until edges begin to crinkle and bacon is partially cooked. Sauté mushrooms and onion in hot oil in a small nonstick skillet over medium heat 4 to 5 minutes or until tender and liquid is absorbed. Remove from heat, and stir in 2 Tbsp. barbecue sauce. Preheat grill to 350° to 400° (medium-high). Shape ground beef into 8 (5-inch) thin patties. Place 2 Tbsp. mushroom mixture in center of each of 4 patties. Top with remaining patties, pressing edges to seal. Shape into 4-inch patties. Wrap sides of each patty with 2 bacon slices, overlapping ends of each slice. Secure bacon using wooden picks. Sprinkle patties with salt. Cover and chill 10 minutes. Grill patties, covered with grill lid, over 350° to 400° (medium-high) heat 5 to 6 minutes on 1 side. Turn and baste with half of remaining barbecue sauce. Grill 5 to 6 minutes or until beef is no longer pink in center. Turn and baste with remaining barbecue sauce. Remove from grill, and let stand 5 minutes. Remove wooden picks. 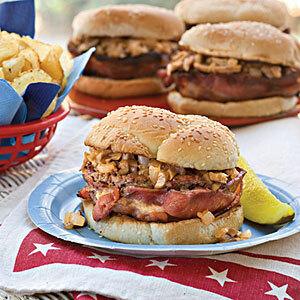 Serve burgers on buns, and top with remaining mushroom mixture. dish for 40 min. at 325°. Serves 3. Source: SimpleMeals by Joan in Oregon June 2004.
with a slotted spoon to paper towels. Discard drippings. Drain pasta; add to the skillet. Add soup, beef and bacon; heat through. Sprinkle with cheese; cover and cook until the cheese is melted. 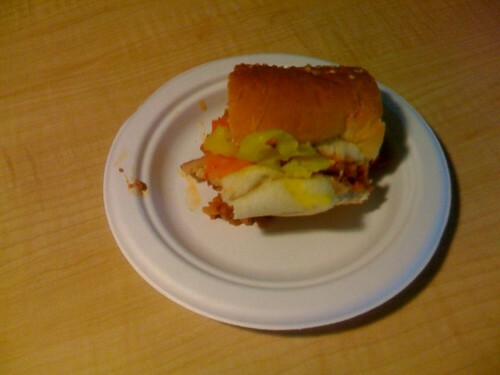 Serve with barbecue sauce and mustard if desired. Try this quesadilla recipe made with Original Bisquick® mix from Betty Crocker. Heat oven to 375°F. Spray 9-inch square pan with cooking spray. Sprinkle chiles and cheese in pan. In medium bowl, stir all remaining ingredients except salsa with wire whisk or fork until blended. Pour into pan. Bake about 30 minutes or until golden brown and knife inserted in center comes out clean. Let stand 10 minutes. Cut into 6 rows by 6 rows. Serve with salsa. HEAT oil in skillet. Add chicken and stir-fry until browned. and stir until mixture boils and thickens. Cover . COOK over low heat 5 min. or until done. Serve over rice. Combine turkey, chicken soup, cream or milk and chili peppers in a lg. kettle; heat slowly, stirring often, just until bubbly. Divide 1/3 of the corn chips between two 12 c. casseroles; top with half the turkey mixture, chopped onion and shredded cheeses; layer 1/3 of corn chips, remaining turkey mixture, onion and cheese; top with remaining corn chips. Bake at 375° 45 min. or until hot. Makes 16 servings. (These are really delicious and make a good lunch or dinner, I did leave out the fennel seeds through and the salt too, I love sandwiches). ENJOY! Heat a grill. In a bowl, combine bell peppers, onion, 2 tbs oil, 3/4 tsp salt and 1/2 tsp pepper. Cut the pork into slices, then into quarters. Transfer the meat to a food processor, and pulse 5 times to grind the meat. Add the fennel seeds, red pepper and 3/4 tsp salt and pulse 2 more times. Divide the mixture into quarters, form each mound into an oval patty. *Place a cooling rack on grill grate and lightly oil it. Scatter the vegetables on the cooling rack (saving any oil in the bowl), cover and cook 5 min. Turn the vegetables. Rub the sausage patties with the oil left in the bowl and add to the other side of the grill. Cover and cook, turning the patties about halfway through, until meat is cooked through and the vegetables are tender. *Transfer the patties to a plate. Transfer the vegetables to a bowl and add the remaining oil and vinegar, season to taste with salt and pepper. Arrange half of the vegetables in the rolls and top each with a sausage patty and the remaining vegetables, then serve. Heat a grill. In a skillet, heat 2 tsp oil. Add the mushrooms, season with pepper and cook until browned and tender. Add 2 tbs water and cook turning the mushrooms until the water is evaporated. Transfer to a cutting board and let cool. Finely chop the mushrooms and transfer to a bowl. *Add the remaining oil and onion to the skillet. Season with pepper and cook until the onion is tender and golden. Let cool. Add half of the onion and the beef to the mushrooms, season with salt and mix well. Form the mixture into 8 patties. *Transfer the remaining onion to a bowl, then stir in the mayonnaise and tomato paste. Spread the sauce on both faces of the rolls and arrange open faced on each of 4 plates. Divide half of the lettuce among the roll bottoms. *Add the patties to the grill and cook 2 min. Flip, divide the cheese among the patties, cover with foil and cook until melted. Stack 2 patties on each roll bottom, top with the pickle and remaining lettuce and set the roll tops in place, then serve. Brown ground beef and onion together in a large skillet over medium heat; drain. Stir in soup and chili powder. Spread in an ungreased 13"x9" baking pan; top with corn chips. Bake, uncovered, at 350 degrees for 20 to 25 minutes. Remove from oven; sprinkle with cheese. Bake for an additional 5 minutes, until cheese melts. Serves 6 to 8. In a nonstick skillet or a wok, heat the oil over high heat. 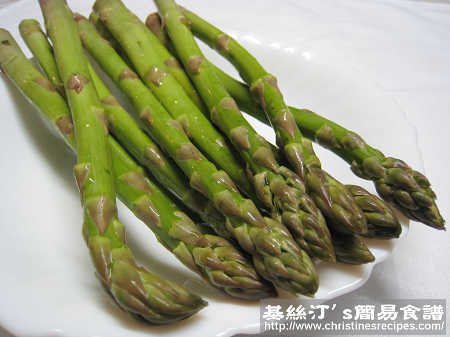 Add the asparagus, salt, and pepper. Cook, stirring often, for 3 minutes. Add the water, and continue to cook until easily pierced with the tip of a paring knife, about 3 minutes more. Melt butter. Mix all ingredients together except for peaches. Pour into 13x9x2 inch dish. Pour peaches over batter. Bake 1 hour at 350 degrees, or until golden brown. I adore the beautiful quality that the toys and games at ImagiPlay have. They intrigue children into wanting to play with them. Through play they learn about shapes, letters etc... The blog connected to christ is currently hosting a giveaway sponsored by ImagiPlay. The winner will receive 3 sets of toys giveaway ends August 7, 2010. I am so glad that I have a place to post what I am thankful for in my life. While every day I try to have a grateful heart I love to share my thankfulness with others whenever possible. This is not to boast but to share the blessings going on in my own personal life. I must say that I love my husband and children and with my children getting older I am thankful my friendship and love in my marriage is as strong (possibly stronger) than when we met and started on a relationship. I am thankful that we never forgot how to live with love in our hearts for each other and for those around us We are now getting older and we are as adventures as ever. I am so glad that we have the spirit to start off on a new path of life. We have created a wonderful family together and that I am thankful for as well. Children and grand babies fullfill our lives and I thank God that each of them are in our lives. I am very thankful that God has blessed our family with my daughter expecting a baby again. How special is that Praise God for it is through his love that we have so many blessings to be thankful for. The end of July is here and that always means that Back To School Shopping is coming up next. I thought I would share a list of 13 common back to school items. I so want to win one of these for my lil' Princess and her brother or sister that will be born soon. Oh how much fun they would have. Their daddy is a firefighter and he would probably have as much fun watching them play as they do playing. 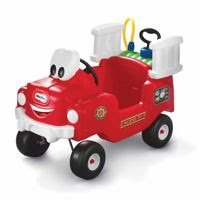 The blog Piece of Me is hosting a giveaway for the little tikes Spray & Rescue firetrucks. This giveaway ends August 4, 2010. I am a mother who believes submerging a child in learning opportunities will allow the child to reach their own success. The Bright Tees company offers wonderful tees that allows you to be a living example of this. By wearing wonderful tees that are deemed with the alphabet, shapes or symbols that stimulates your infant visually. Babies who are stimulated as much as possible, reach developmental milestones faster, have better muscle coordination, and have a more secure self image. Infant Visual Stimulation is an important activity for parents to do for the baby since of the five senses; vision is the least developed sense a baby has at birth. Research has found that infants with many things to look at, neuronal connections in the brain will occur quicker which is important for brain development. Bright Baby Tees not only wants to stimulate your babies knowledge. They also want to offer the best when it comes to the t-shirt material. That is why the material used is Organic Cotton. Organic Cotton is not only great for the clothing style but is very eco- friendly. The production of organic cotton reduces health risk because the harmful chemicals are not used and also keeps the soil in proper growing conditions longer. Now with all that in mind let me tell you that we received a wonderful tee from Bright Baby Tees and was very pleased with it. 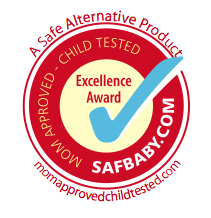 The vibrant red and the black letters are perfect for stimulating infants. When the child gets older it is perfect for learning the letters of the alphabet as well. With both Princess and the new baby this tee will be worn a lot in hopes to stimulate a bit of learning. Giveaway ends August 7, 2010. Good Luck Email must be in comment or on blog profile or entries will not count.